Many westerners may already be familiar with names of Chinese metropolises such as Beijing, Shanghai, Shenzhen, Guangzhou…however, probably only a few know Wuxi in eastern China’s Jiangsu province, one of China’s oldest cities, a tourist destination and strong in manufacturing. Wuxi is rather a medium-sized city in Chinese context, smaller than one third of Beijing, or one six of Belgium, with its gross domestic product (GDP) hit over 1 trillion yuan (some 146 billion U.S. dollars) last year. 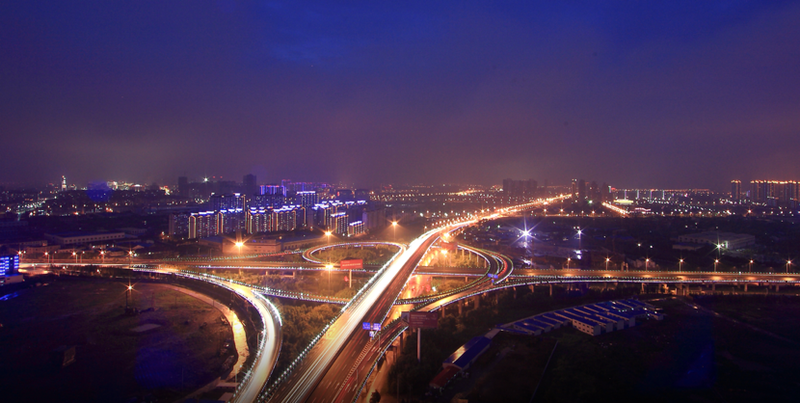 As China has become the fastest growing country in the internet of things (IoT), we should learn more about Wuxi, the birthplace of China’s IoT industry. 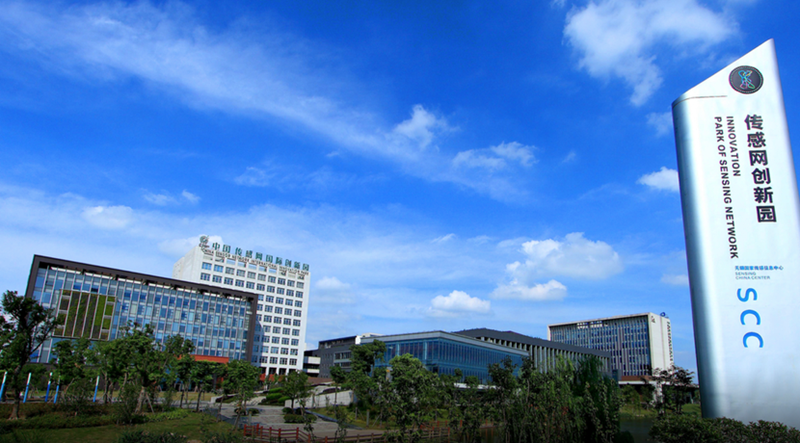 In November 2009, China’s cabinet, the State Council, approved the Wuxi National Sensing Innovation Demonstration Park (the only one in China), marking the beginning of the city’s focus on the development of the IoT industry. Currently over 180,000 people work in the city’s IoT sector. The 2,000-plus IoT companies generated combined income of more than 243 billion yuan ($35.5 billion) last year, half of the total income made by IoT companies in the province, and 25 percent of the national total. 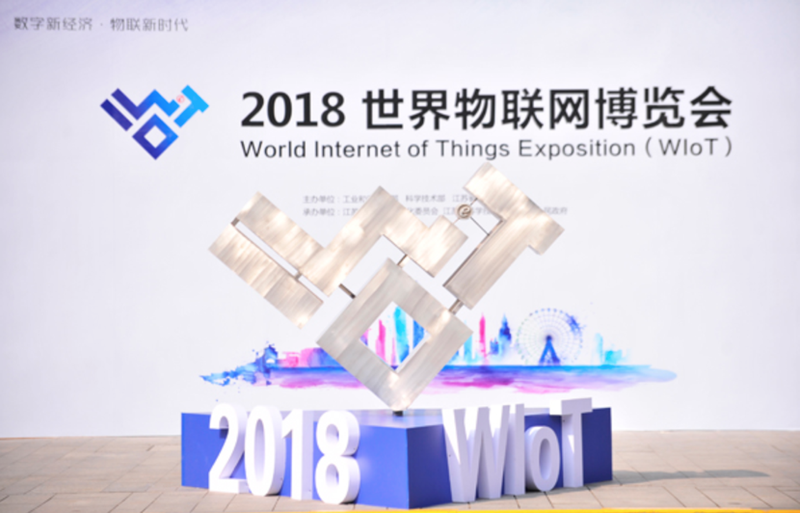 Thus, Wuxi became an ideal place to exchange views on how to promote IoT industry globally and in China when it hosted the 2018 World IoT Expo from Sept 15 to 18. 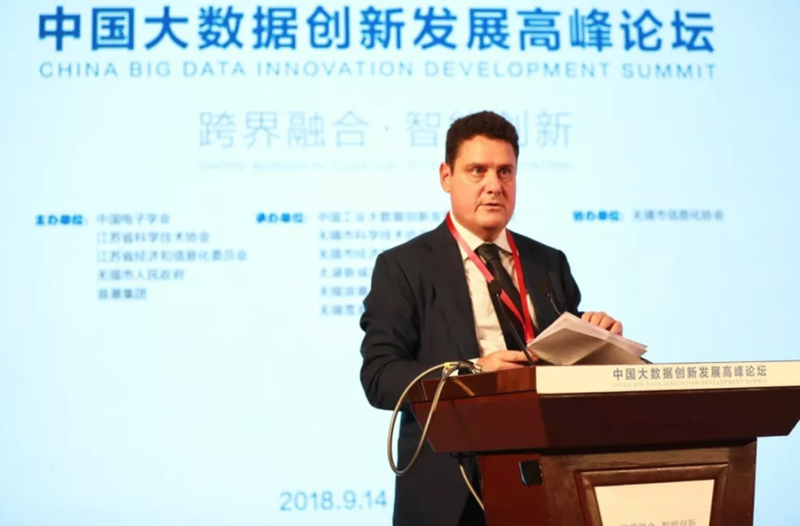 Luigi Gambardella, president of ChinaEU, was invited to deliver a keynote speech at China Big Data Innovation Development Summit, a sub-forum of the expo, with a focus on industrial AI which is essential to the increasing deployment of IoT. IoT produces massive amounts of data from sensors and connected things, but the data would just be “background noises” without AI and machine learning which can unlock data’s value and insights. Industrial AI is key for China to address its aging problem and its corollary, the increasing labor cost. European startups can provide a substantial contribution given that China lacks talents and core technologies, Gambardella told the audience. “AI and, in particular, industrial AI, are definitively areas where win-win agreements can be reached. 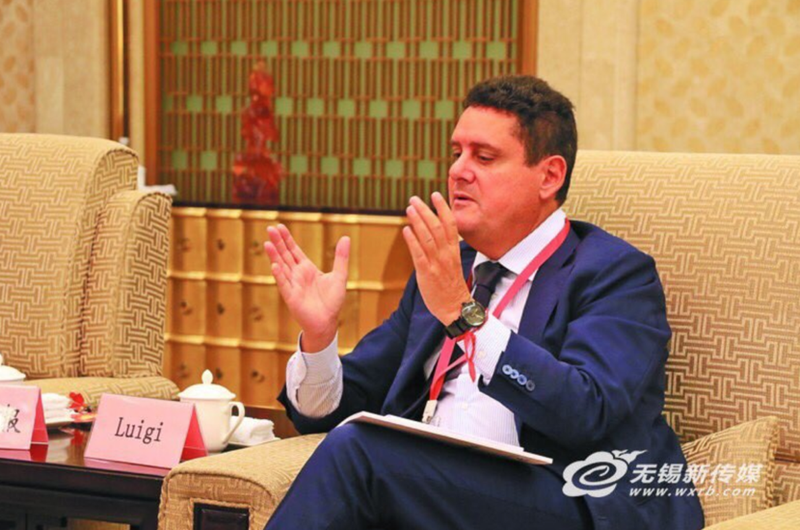 The combination of China’s giant market and Europe’s traditional vertical strength is set to unleash both great potentials and benefit their industries,” Gambardella noted. The new scientific and technological revolution provides great chances for innovation including IoT, mobile wireless networks and big data, bringing opportunities to China and Chinese talents, Academician of the Chinese Academy of Sciences Yao Jianquan told the audience. Tan Jianrong, a member of China Academy of Engineering, gave a keynote speech on big data thinking and big data industry. He said that with the support of big data, internet +, data economy, and digital manufacturing have become irresistible trends. During the forum, the Chinese Institute of Electronics released the “Industry Big Data Innovation Index”. Gambardella later gave an interview to local media and urged Wuxi to develop 5G to keep leading in IoT. “5G not only enables a mobile phone to run faster but also facilitates things to be connected,” he told the reporter. China Big Data Innovation Development Summit was attended by some 500 people who were treated to keynote speeches as well from high-profile business executives, including Tobias Arndt, general manager of KIT China Branch; Jiang Bo, vice-president of Shandong Luhua Group Co Ltd, and Wang Lu, chairman of Merit Data Co Ltd. 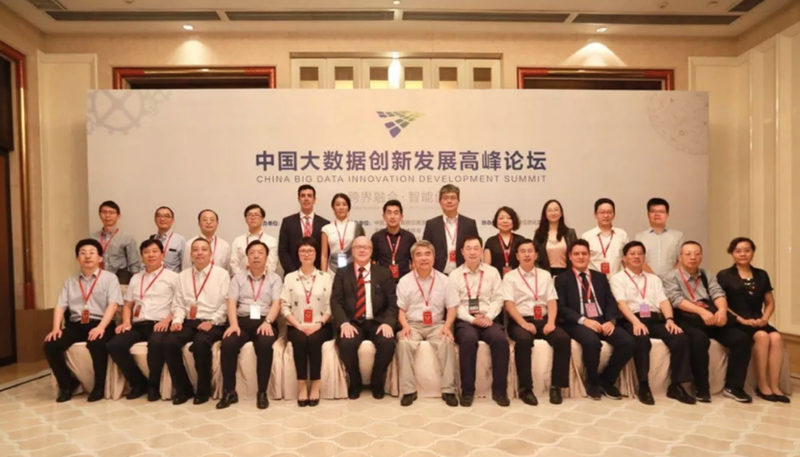 The summit was organized by the secretariat of China Industry Big Data Alliance and Wuxi Association for Science and Technology, under the guidance of the Ministry of Industry and Information Technology of China. 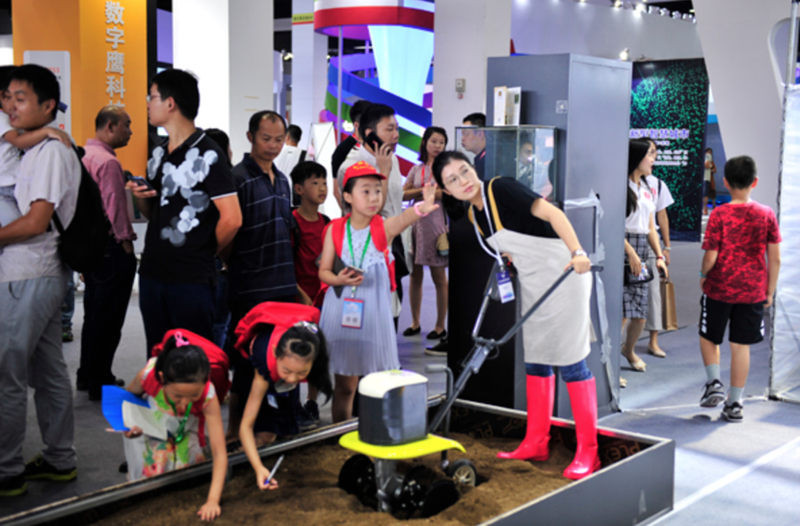 Media reported that a total of 526 exhibitors from 20 countries and regions took part in Wuxi’s IoT expo, 35 of which were Fortune Global 500 companies. They showcased the latest cutting-edge IoT technology focusing on technological transformation and innovation. China Economic Information Service foresees China’s IoT market will hit 1.5 trillion yuan （$218 billion）by the end of this year.